In Out of Context. Historical Reference and the Representation of Reality in Borges, Daniel Balderston claims that the interpretative practice of Jorge Luis Borges’s short stories has tended to focus on the ‘unreal’, that is, on its autoreferential, fictional and fantastic elements, and that, on the other hand, allusions and references to the concrete, historical reality in the work of the Argentinian writer have been disregarded or even neglected. 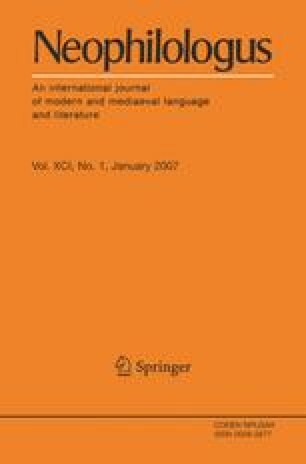 In a departure from this dichotomist perspective, this article proposes a study of Borges’s reception in the Netherlands from the very beginning in the fifties until the present day, attempting to ascertain the positions and functions of Borges’s work in the Dutch literary system.